We welcome your donations to enable us to provide financial help to people in poverty in the DT1 and DT2 area. 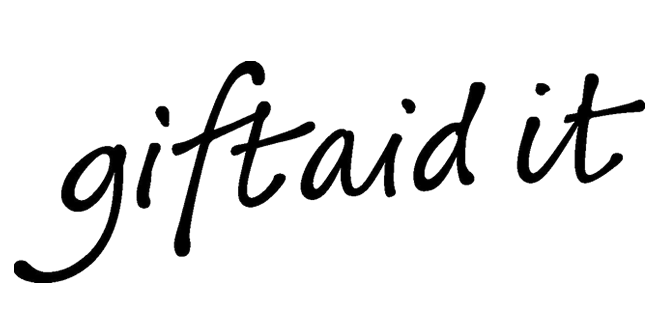 If you're a UK taxpayer you may like to Gift Aid your donations so we can claim back the tax on your gift. 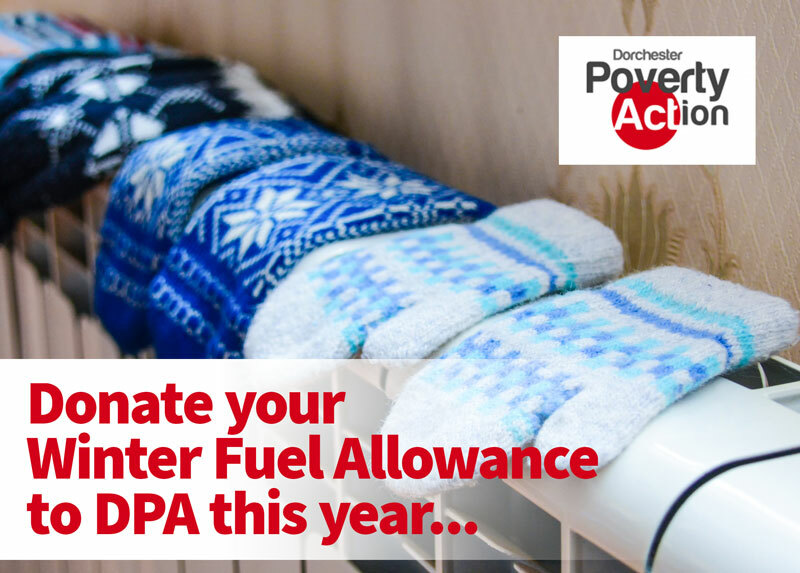 This year we are asking people who may not need their Winter Fuel Allowance if they would like to donate the benefit to Dorchester Poverty Action this winter so we can make a big difference to the lives of people in acute need this winter. Your Details First Name: Your First Name is required. Last Name: Your Last Name is required. Email Address: Your Email Address is required. Phone Number: Your Phone Number is required. Any message you type in below will be displayed against your donation on our recent donations lists. Leave the field EMPTY if you wish the donation to be shown as ANONYMOUS. "I want to Gift Aid my donation and any donations I make in the future or have made in the past 4 years to Dorchester Poverty Action Group." In order to process your donation we would like to have a little information about who you are for our records. This information will be kept confidentially by us and not used for any other purpose than thanking you for your donation, and processing your donation payment. We do like to tell people about donations we receive however and, if you'd be happy to do so, we would love to add a note of your donation to our website. If you are happy to have a message added to our donations list, please fill in the field on the left with your message. If you do not add a message we will add your donation to our list of Anonymous donations. Thank you again for your kindness and support. In order to Gift Aid your donation you must tick the box on the form. I want to Gift Aid my donation and any donations I make in the future or have made in the past 4 years to Dorchester Poverty Action Group.